City budget director Ben Noble told the committee that the Oak View Group’s $40 million transportation fund payment is to be spread over a 39-year lease term. He suggested the city could issue public bonds against the pledged OVG money if it requires a lump sum in the short term. 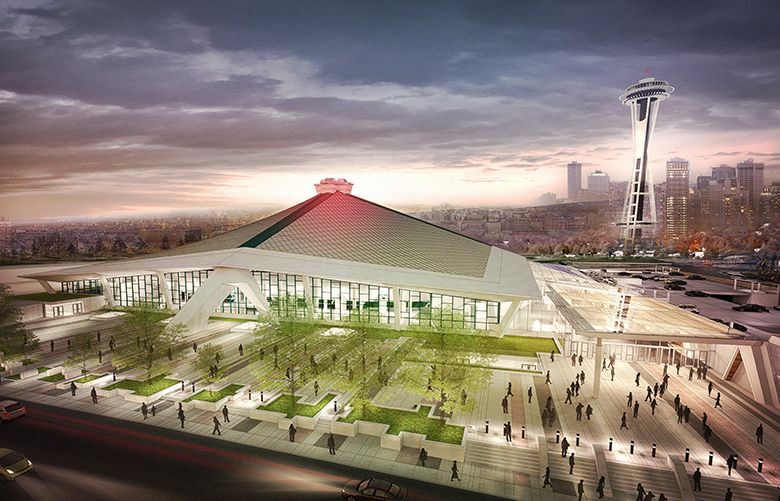 A group planning a $600 million KeyArena renovation hopes to pay $40 million to a local transportation mitigation fund not as a lump sum, but spread out over a 39-year lease term. That was one of the tidbits from Monday’s meeting of the Seattle City Council’s Select Committee on Civic Arenas, tasked with scrutinizing a draft Memorandum of Understanding (MOU) on the renovation released last week. Los Angeles-based Oak View Group, paying for the renovation with private funds, hopes the council ratifies the deal by December to hasten the potential acquisition of an NHL expansion franchise. But during Monday’s meeting — attended in a packed council chamber by dozens of sports fans, union members and local community groups and activists professing support for the deal — questions on mitigating traffic took center stage. “As we all know, that neighborhood is growing, and we’ve got a city responsibility in making sure that traffic is free flowing,” Surratt said. “We probably should be doing this regardless of an arena, and there are myriad plans that suggest the city needs to be investing more in pedestrian planning and freight mobility. Surratt also said there would be no “net loss” on servicing the bonds because they’d be covered by additional commercial-tax revenue from the project. OVG has hired local firm Nelson\Nygaard as a consultant on a “mobility action plan” to review how money collected in the transportation fund should be spent. 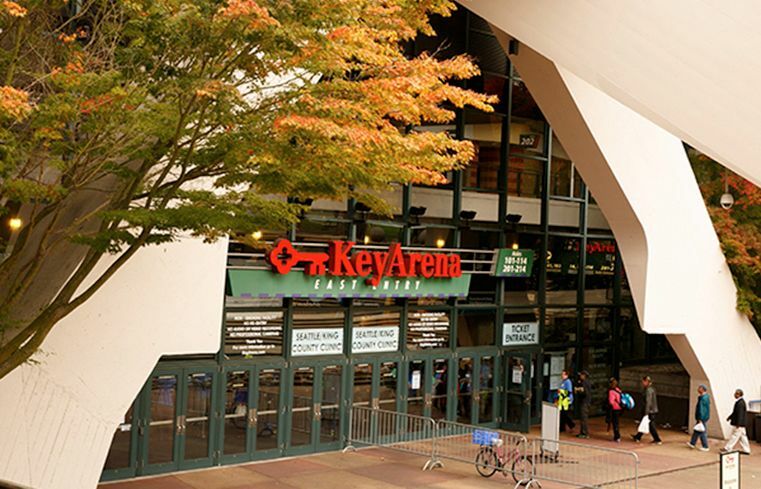 An initial plan is expected by the first quarter of 2018, as an environmental impact statement (EIS) on the KeyArena renovation is being prepared. Some council members, most notably Mike O’Brien, expressed concerns about the aggressive, yearlong EIS time frame being sufficient to collect all the needed transportation information. The city hopes to begin construction in October 2018 and finish within two years to host an NHL team for the 2020-21 season. Deborah Frausto of the Uptown Alliance community group — who sat on a Key­Arena advisory committee during MOU talks — said after Monday’s meeting that coordinating the mobility plan and transportation fund would be paramount. Frausto’s group supports the city’s process but cautioned that rushing too quickly through details just to have an NHL team begin play in October 2020 wouldn’t necessarily generate needed long-term traffic mitigation. “We can’t sacrifice due diligence for scheduling,” she said. Missing from Monday’s meeting was an expected show of force by supporters of Hansen’s project in Sodo. Hansen supporters have been highly vocal on social media that the council take another look at that project alongside the KeyArena MOU. At least one online petition supporting another Hansen review claims it collected more than 16,000 signatures. But during a public comment period Monday, Key­Arena supporters appeared to outnumber Sodo proponents at least 4 to 1. “Today’s meeting in City Council chambers reaffirmed our belief in the broad support for this project as evidenced by the strong turnout,” OVG’s project director Lance Lopes said in a statement released Monday night. Council member Tim Burgess — chosen as interim Seattle mayor hours after Monday’s meeting — said in an interview on seattlechannel.org last week that the council won’t look at Hansen’s plan during its KeyArena review. Burgess added that Hansen was denied by the May 2016 council vote because he lacked an NBA team as per his ongoing 2012 deal with the city and has yet to acquire one. Among those supporting the renovation was Seattle Storm owner Ginny Gilder, calling it a “huge opportunity” and model for other cities. The WNBA team would be relocated — at the city’s expense — during the renovation.